As part of preparing to run demos of The Fantasy Trip at conventions, there's been a bit of construction going on, in the office and at my home. Eric is running a labyrinth factory in the office, building new 3D terrain using the Hirst Arts molds, while my wife and I do the same at home. 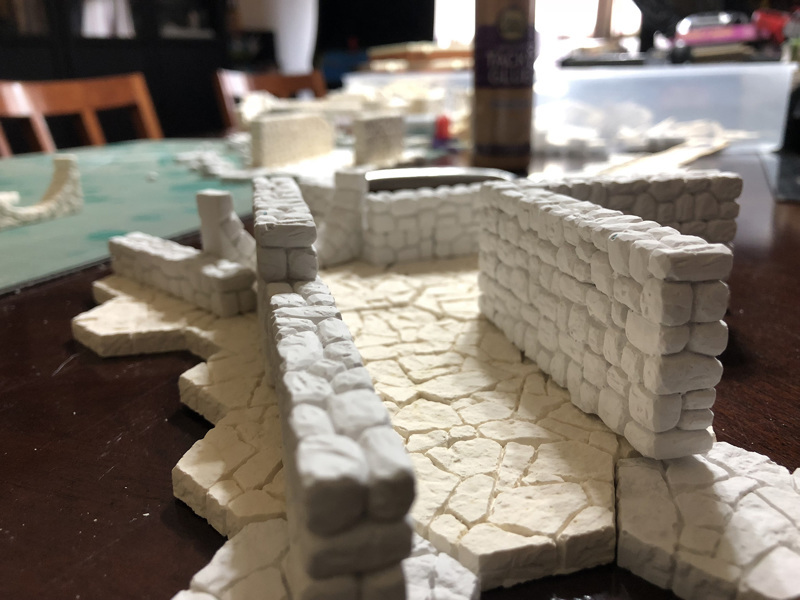 Between us, Eric and I are taking dramatically different approaches to the project, but by both using the Hirst Arts molds, the result is a variety of dungeon rooms, corridors, and terrain bits that are all interchangeable. We'll share photos once the completed set is ready for play, and we'll likely want to expand our terrain as we prepare for the launch of The Fantasy Trip in stores next year. Did you miss out on the Kickstarter project? You can preorder the game today!